By changing one small component in the malware, a whole new virus is born. These are known as polymorphic viruses. Unfortunately, the detection for these viruses is incredibly difficult, because the malware is consistently changing to prevent detection. Once the malware is identified by traditional anti-virus programs, it changes itself to become a new undetectable virus. For traditional anti-virus programs, this is a problem because of their malware detection methods. Most anti-virus programs use a blacklist approach. This means they have a list of all the known bad programs/files and blocks them from running on your PC. However, as discussed earlier, these polymorphic viruses are always changing, which makes the latest version unknown. Thus, withholding the ability to bypass your anti-virus’s blacklisting technology. One of the best ways to prevent this, is to find an anti-virus software that has a whitelisting technology. Meaning, it uses a list of all the known good programs and only allows them to run. By taking this backwards approach, the anti-virus software is able to effectively block polymorphic viruses because no matter what they change to, they still are not a known safe program. 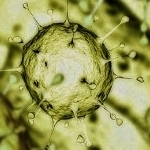 PC Safety, The Pit Blog, tips, Whitelisting polymorphic viruses. permalink. I relate the following; I have used about every free security scanning, big software with PC, or anti-virus program out up until two years ago. I had an HP Pavillon that got infected. I took it to a friendly big box store for repair. They successfully wiped the HD clean. In that process I lost all my pictures, projects, and most anything of importance to me. BBox was supposed to save HD useful data and delete the virus. They had done this work once before for me. But with that loss I began a serious look for something better. At the end of my search was PC Matic. I have had several blocked “programs/viruses/files/alleged updates”. One ended up on the white list for all. The others were viruses blocked and removed by PC Matic Customer Clan. Those folks are most helpful in both attitude and instructions. Just yesterday I was helped with two blocked viruses. The week before one blocked from a major software house was shown to be indeed a white listing for all users of PCMatic. Cost is minimal when compared to the hassle of dealing with failure of big box and thus loss of PC. Anyone who does not have $50 per year to use on their own PC is not looking hard enough where they are spending/wasting money each year. I’ve even recommended PCMatic to my former employer, I’m retired. So you know I’m on fixed income and $50 is important but keeping a clean system is more so. I should have added that the exclusion list also includes URLs. I don’t know about “whitelist” but Avast has an exclusion list that lets you list programs you don’t think need scanning. Isn’t that the same thing? Even Malwarebytes has that. In their free versions,. No, our whitelist is a list of the known virus-free programs/files. If a file or program is not on the whitelist it is not allowed to run, unless the user goes through an manually adds it to their whitelist. This is not encouraged, as they don’t know if any malicious files have been added to the program. If a program is not on the whitelist, and is not allowed to run, it automatically is sent to our research team. Within 24 hours it is recategorized as either a safe or malicious file. If it’s deemed safe, the user now has access. Again, if the user decides not to wait, they can manually run the program without waiting for our research team. Is there a known way to fix Locky, hostage virus? Why can’t or won’t congress go after the crooks. It’s as simple as curtailing aid to the offending countries. Cut off the bean$ and watch the fur fly! Shouldn’t all antivirus software have whitelist technology. If PC Matic is the program that has the whitelist technology, then other antivirus software needs this technology to stop polymorphic viruses. So traditional antivirus use blacklist technology. So will the antivirus developers make a whitelist for traditional antivirus software to catch “polymorphic” viruses? Also we all know how everyone like freeware antivirus software and will this whitelist technology be used for freeware antivirus software? Currently, PC Matic is the only AV technology that uses a whitelisting method. Since PCMatic uses whitelisting, and Most use blacklisting, does it follow that I could run both, without them interfering with each other? @jackmeat: looks like it’s a craptonne cheaper too. $2 a month?! you can’t beat THAT with a stick. Actually, we can! PC Matic is only $50 a year for up to five computers. So hypothetically speaking, you have 5 computers and invest in PC Matic, that’s only $0.83 a month per computer! @Kayla Thrailkill: that does me no good considering i only have one. that’s still $50 a year for my one computer and totally not worth it in my eyes. @Kayla Thrailkill: i’m sure it would be great for those who are actually wealthy enough to OWN five computers. then again, when you have that much money, $50 is pocket change anyway. @TheOncomingStorm: you probably spend more than $50 bucks a year on soda pop. soda pop aint much good with malware. @sagebrush: actually, i don’t drink pop, i have me a hot cuppa two or three times a day, a coffee or two and drink water. high fructose corn syrup is one of the worst things for the human body. not to mention the acid content does nothing but lower your internal ph which actually does things like promote cancer. nice try troll, but you failed. @Bebop: never mentioned computer storage capacity or data transfer rates. i was talking about money. nice try. I asked Leo and am waiting for his input on a, what I feel, is a great little firewall by the name of “TINYWALL”. As one article mentioned here, “Whitelist”, that’s what Tiny Wall does in that you set it up “Manage” what programs can goe-out and decide if any installed programs can receive ANYTHING via the Web. I use Tiny Wall and love it. @Robert Fitzgerald: doesn’t windows firewall do the exact same thing? White list “every” program? First, that would take hours, second, the list would be enormous. How do to this?